Meet the *only* makeup products you'll really ever need. There are too many beauty products. I’m a beauty editor, who dreams of swimming in pools of beauty products, and being buried on a bed of beauty products, and I still think that there are too many beauty products. So it’s no wonder that the makeup beginners, the minimalists, and the apathetics of the world find the whole idea of shopping for products to be completely overwhelming. Which is where I come in. Plot twist: You don’t actually need a stack of highlighters and contour kits and concealers to get a natural, glowy look—you just need a few key products. And to get you started, I present to you the six best of the best basic products that are personally loved and used by moi on a daily basis. And I’m very high-maintenance, so you know they’re good. So please, stock up on these all-stars, below, and get your face on. Foundation gives foundation a bad rap, thanks to the fact that almost everyone’s introduction to it was with a super-drying, heavy formula they slathered over their acne in high school. But foundation is your friend, as long as you find the right formula, which should be equal parts hydrating as it is masking. And that’s where my favorite Stellar Limitless Foundation comes in—it applies like a tinted moisturizer with a touch more opacity, leaving your skin dewy and glowy, but with enough coverage to totally cancel out redness. It won’t crease, or sink into fine lines, and it looks crazy natural, too. I know, I know—the iconic egg sponge seems reserved for YouTube vloggers and makeup artists, but please trust me when I say this tiny blender is the difference between “oh, you're wearing makeup,” and “oh, are you wearing makeup?” It essentially presses your cream formulas (i.e. foundation, tinted moisturizer, concealer, cream blush, etc.) into your skin, filling every ridge and pore for an airbrushed finish. Just saturate the sponge with water, squeeze out the excess until just barely damp, dab some foundation in dots over your face, and then stipple the sponge across your skin to blend it out. And, if you don’t believe me, just ask Marie Claire’s digital features editor, who I forcefully converted to the Beautyblender life, who says, “I’ve always applied my foundation with my hands, since I’m super low-maintenance with makeup, so I was skeptical of using this, but my skin looks smooth and glowy—friends have even commented on how good my makeup looks now." Huzzah! I’ll be real: Most concealers are, uh, pretty terrible. Either they settle into the fine lines under your eyes, or they slide off by noon, or they highlight every dry patch on your face. But this cult-favorite formula checks off every possible box on your makeup wish list, because it not only comes in a zillion shades, but it also glides over zits, flakes, bumps, and scars without caking up or drying out. Bend it out with your new favorite Beautyblender, or dab it with your fingers. It’s so creamy that it doesn’t really matter. Repeat after me: I do not need setting powder. Great; we’re all on the same page. In a minimalist beauty routine, setting powder is an added bonus, unless, of course, you have oily skin—then it could change your world. Because a light dusting of truly excellent setting powder (and no, not all of them are created even remotely the same), like my favorite from Glossier, will both mattify your skin and keep your makeup from sliding off, but also stave off oil slicks for the rest of the day. Just lightly swirl it over your T-zone with a big, fluffy brush after you apply your foundation and concealer, and you’re good to go. If you can’t justify spending $22, though, try the drugstore cult-favorite, Nyx Studio Finishing Powder, instead, which only costs $10. Please, don’t fear the bronzer, because it’s really trying to be your best friend. 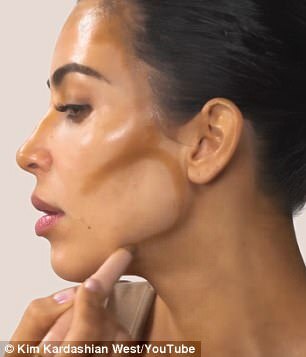 When you swipe on foundation and concealer, your face can look a little one-dimensional, and the key to getting a minimal, natural-looking finish is with a little swipe of sheer bronzer around the edges of your face—basically by tracing a large “3” on each side of your face (around your forehead and temples, beneath your cheekbones, and around your jaw and chin). Just pick a matte, light formula (about one or two shades darker than your skin tone, max, like one of the seven shades in this velvety Bobbi Brown powder), and swirl in tiny, concentric circles with a fluffy, angled brush for a super-soft, diffused finish. The difference between people who do and don’t wear blush is literally 100 percent. It’s the difference between life and death—or, at least, the appearance of it. And yes, this is a totally biased, yet totally factual, opinion. If you’re a newbie to blush and totally scared of looking like a doll, try an iridescent baked formula, like this favorite from Milani, which is super blendable and sheer, making it easy to swirl over the apples of your cheeks, without a harsh, bright finish. And, yes, it comes in four shades: light peach for fair skin, rosy pink for fair-to-medium skin, berry for medium-to-dark skin, and apricot for dark-to-deep skin.